First impressions of this boat are really great - she's nice and shiny and white and seems well looked after. Her cockpit is clean, with lovely looking upholstery and plenty of room for a family or couple to relax and enjoy themselves for a weekend or longer. Down below, she's very well equipped with lots of stowage space and shelves. She feels dry and smells sweet and her layout gives a real impression of space for a boat of this size. If you'd like a boat that should look after you for short or medium breaks for some time away, or even some frenetic water sports, she could well be the one for you. 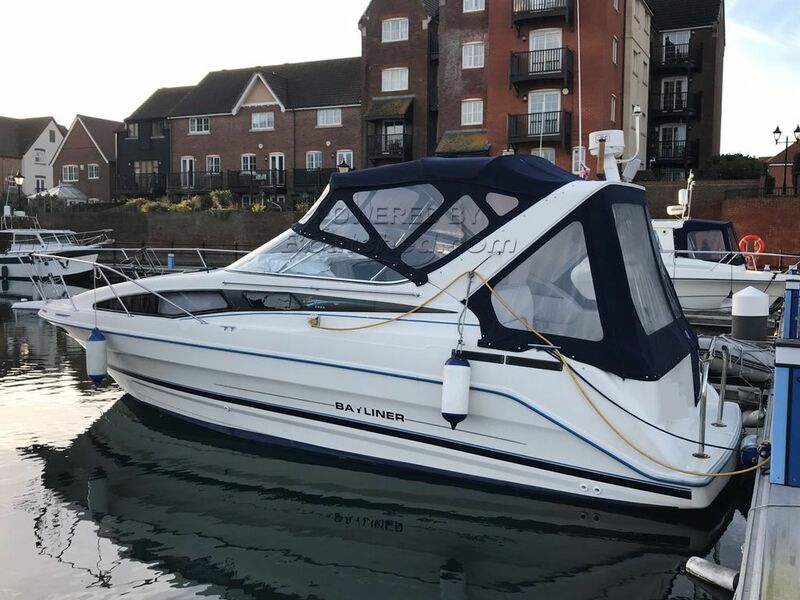 This Bayliner 2855 Ciera has been personally photographed and viewed by Tim Kingston of Boatshed Brighton. Click here for contact details.